I think we all do this every year, don’t we? We look back on our accomplishments, our failures, and measure them to our goals going forward so I thought is was time to reflect on my Year in Review. I posted another article about New Years resolutions and I will be talking about it on our fitness podcast this week, but for me this is about looking back first. At the end of the day though, we all need to sit back and take in what we have seen both in our work life, personal, life, and generally what went on around us as we stroll through this thing called life. This year was another step out year for me with VMware, although the last couple months have been fairly quiet. We had the madness of Partner Exchange, where I talked a lot about DR of the Cloud with the solution Duncan Epping and I rolled out with the help of a huge team of people. That project actually started in late 2011, but was not fully baked until early this year. From there I moved to working on vCAT with another large team of folks while spending a lot of time doing VMUG sessions in various cities including kicking off the year with my personal favorite at Gillette Stadium. I worked a lot in remote labs and the home lab refining some ideas and working on some smaller projects in between. The year quickly moved to VMworld session writing and ultimately presenting again at both the US and EMEA conferences. The final change as we know was the move to learn Nicira and Network Virtualization. That has slowed my blogging fodder, but I hope as 2013 starts up I will be able to ramp up again on some ideas I am playing with in the home lab. It is funny in some ways 2012 from a work perspective was almost the same as 2011 with a few large projects, multiple smaller ones, and a year-end job role shift. I know 2013 may be completely different already since I am not sure I will be at PEX and we will see how the Nicira and Network Virtualization role plays out. As always my year will kick off in Gillette Stadium for the VMUG. It’s no surprise to most people who in the wake of some new technology learning with Nicira and generally less travel while working on IP projects instead of delivery projects I was able to spend more of my spare time doing something I also enjoy. Most people by now know I am a big advocate of health and fitness and it’s really one of my personal passions in life. I stepped out of my box and got P90X Certified, completed P90X2 twice, Body Beast once, Insanity once, and even made it through The Ultimate Reset once. All this while helping others in both the community as well as perfect strangers finding their fitness while still doing my day job. As a Team Beachbody Coach it has truly been my pleasure and honor to help others that want to help themselves out of the fitness and financial funk they were in. I can only hope that 2013 will continue to be a great year for this part of my life helping more people find fitness. I even learned through the year that many people out there do not like the fact I am multi-dimensional as a person, but I will continue to be nothing more than myself. I also have become a very good bookkeeper. I had to learn Quickbooks and basic accounting not only for my Coaching role, but also for Julie’s quilting business. I learned a lot this year about small business setup, advertising, marketing, and loads more about WordPress after re-building my sites yet again on new Linux Virtual Machines in a vCloud Provider. Julie and I took a lot of great vacations which we will do again in 2013, and we even spent some time with my Mom and Dad whom we don’t see as much. We saw my Challenger get an upgrade and Julie finally get her SRT8 Jeep she has wanted for so long. I do hope 2013 has less spending, but just as much promise as 2012 showed us. Of course there was some things we simply cannot forget from this year. I saw the horrific shootings in CT just before Christmas. This also drove us to so something special in honor of those victims during the holidays. We had the Olympics, we’ve got the fiscal cliff just over the horizon. We saw December 21st come and go with no end of the world. Personally I’ve since renewed my Concealed weapons permit for good measure and going out next week to pick up something new from a friend of mine before anyone messes with my 2nd Amendment rights. No matter what we will always have these things around us that affect our lives in 2013 and beyond. What I think I have here is that for me my 2012 personal life took many new directions for sure. My work life took some normal turns as it always does, with a couple new forks in the road, but nothing extreme. I hope maybe both lives will see new exciting paths in 2013. I’ve got passion in both technology and fitness and I want to continue to find ways to bring that together more. I’ve even started chatting with another fellow much like myself who is interested in doing the same thing. Together maybe we can merge more Health/Fitness with people in the technology space and both my passions can continue to grow. 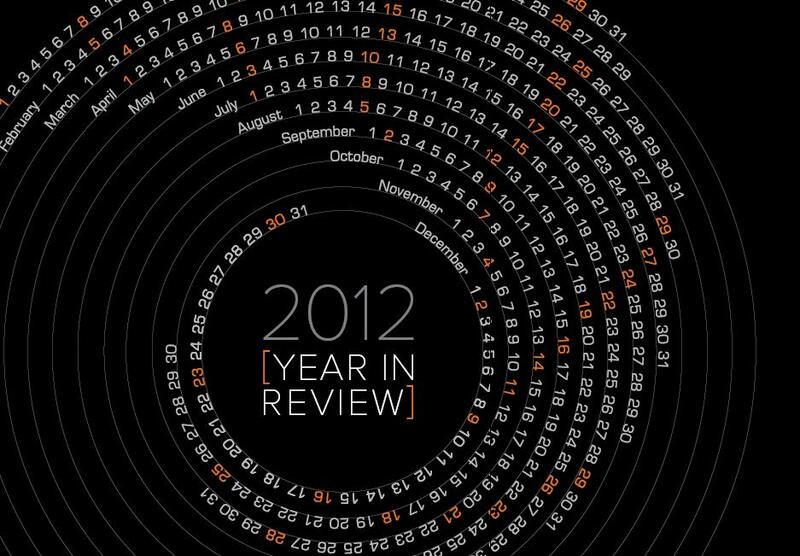 Here’s to a great 2012 year in review, and an unwritten 2013.